Humiseal® remains in a uniquely qualified position to help you answer this question. Unlike many coatings sources, Humiseal offers a full line of all the major conformal coating technologies including acrylics, urethanes, synthetic rubbers, water-borne, and yes; silicones. As a result, you can be certain of an unbiased approach to product evaluation that will result in the most cost-efficient material to meet your needs. 1. Do you require very high operating temperatures? If your operating temperature is at or below 150°C it is likely that alternatives to silicone are possibilities. 2. Does your device require significant chemical resistance? If your devices or boards require resistance to various chemicals, alternative chemistries such as urethane or UV-curable coatings should, in fact, result in improved performance when compared to similar thickness silicones. 3. Do you really need that high-coating thickness? Due to their poor moisture vapor transmission properties, silicones are often applied in thick layers to achieve adequate moisture resistance. Most alternative chemistries such as urethanes, acrylics, and UV coatings can achieve the same moisture resistance at 25% to 50% of silicone thickness and applied weight. Unless the thickness is required for stability or other issues, thinner is usually better! 4. Is your end-user application really demanding only silicone? In every imaginable end use, non-silicone-based conformal coatings such as urethanes, acrylics, UV curable, and synthetic rubbers are deployed. Some examples include automotive, white goods, consumer devices, military applications, aerospace, industrial controls, and more. 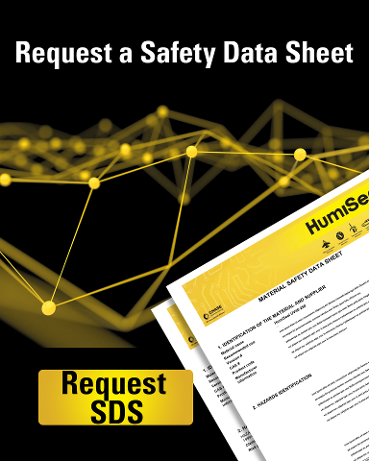 This is not an exhaustive list of considerations, and others would include such matters as requirements for UL ratings, military ratings, type of available coating equipment, the volume used, tolerance for solvent-borne technologies, and so on. Due to their superior moisture and chemical resistance characteristics, nearly all alternative technologies -- solvent-borne urethanes and synthetics as well as UV products -- have the potential for lower applied costs due to lower thicknesses required. Technologies like UV coatings can significantly speed up production times and volumes. The use of liquid silicone materials within an electronics environment can cause issues with coatings and bonding of other materials in parts and boards. The replacement of silicones in the plant can often alleviate cleanliness - and bonding-related issues in other areas. Silicones can be subject to siloxane outgassing, which can affect mechanical relays and electrical connections as evaporation happens over time and resettles, causing defects. 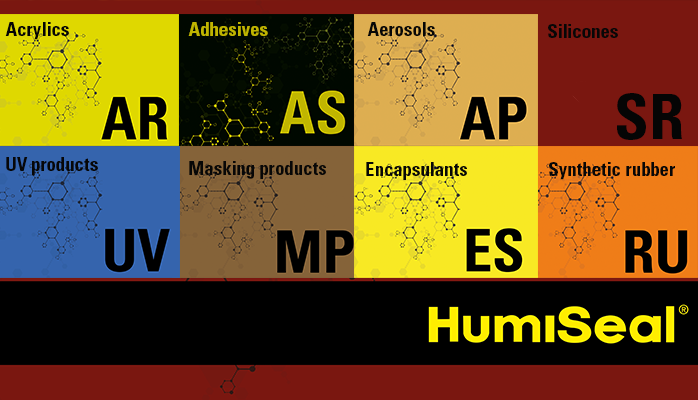 As a supplier of all major forms and chemistries of conformal coatings, Chase and HumiSeal® can help you with an unbiased approach to evaluating your application and process. We’ll show you how to maximize efficiency, minimize cost, and improve product reliability. Our outstanding manufacturing and technical support groups can provide your organization with reliable global supply, unmatched quality, and superior technical support. 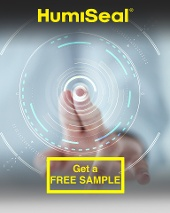 Please contact us today to discuss your application at www.HumiSeal.com/contact-us.